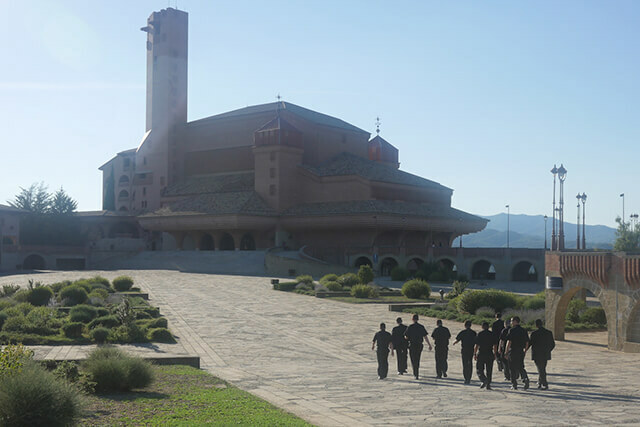 Before returning home, the seminarians spend the last days of the summer program in Spain. 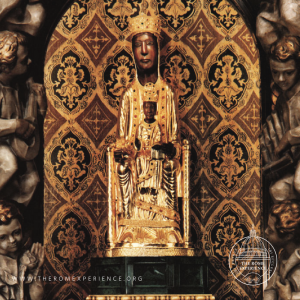 These days provide an opportunity to make a final pilgrimage to reflect on their experience from the previous weeks– how it will strengthen them as they return home and to the seminary– and to seek the special intercession of Our Lady, Mother of priests. “Every aspect of priestly formation can be referred to Mary as to the human being who better than anyone has corresponded to the vocation of God; who has become the servant and disciple of the Word up until conceiving in her heart and in her flesh the Word made man in order to give him to humanity; who has been called to educate the unique and eternal Priest, docile and submissive to her motherly authority. With her example and through her intercession, the Blessed Virgin continues watching over the development of vocations and of the priestly life of the Church (71). “To her, the Mother of the Eternal High Priest, we want to entrust our priestly vocation, received with the imposition of hands on the day of our ordination, with which we are given the unmerited gift of being Alter Christus. “To her, who keeps her priests in her heart and in the Church, we want to entrust our pastoral work and the abundant harvest of the Lord.